So it seems like almost every interest has a guidebook helping you plan an accompanying vacation. 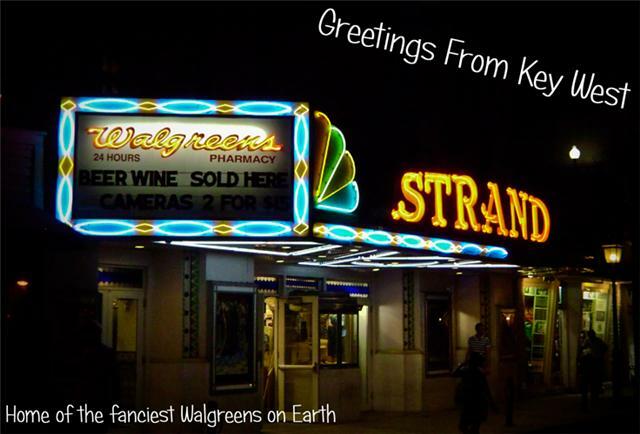 Well look at what my friend Ryan from over at the New World Otter found whilst vacationing in Key West last week - the epitome of Walgreens that I must visit! Apparently this place was originally a theatre, then a Ripley's Believe it or Not and is now a Walgreens! Ryan was unable to fill me in on their deals (as he is a prepared tourist) but was able to snag this pic. I bet no amount of Walgreens fluorescent lighting will keep ghosts away from a building with such a sordid past!